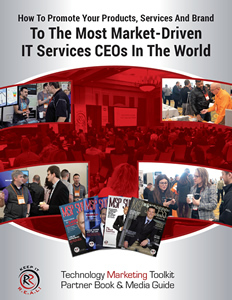 There is no question about it: Robin Robins has guided more MSPs, VARs and IT business owners to greater profits, success and growth than any other person in the IT channel, period. She is famous for creating wildly successful marketing campaigns to sell IT services in the fastest, most efficient ways possible and for creating a large base of loyal, raving-fan clients who rely on her for business and marketing advice. Robin Robins is the IT industry’s most in-demand marketing consultant, sales trainer and author who specializes in highly effective marketing strategies for VARs, systems integrators, MSPs, solution providers and IT consulting firms. 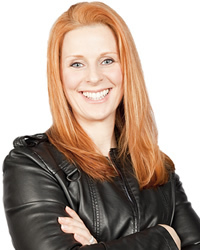 She is the author of the Technology Marketing Toolkit and Million-Dollar Managed Services Blueprint. To date, over 8,000 IT business owners from all over the US and in 23 different countries have learned and implemented the marketing systems she has developed to create hundreds of millions of dollars in NEW sales, NEW opportunities and NEW revenue streams for their business. Robin has been voted a #1 speaker at many industry events, such as ChannelCon (formerly known as BreakAway), System Builder Summit and VARVision, ASCII Success Summits (formerly known as ASCII boot camps), CT Summit and SMB Nation. She has been published in VARBusiness, eChannelLine.com, Sales and Marketing Magazine, Selling Power and SMB Partner Community Magazine. In addition to her extensive experience with IT services firms, Robin has developed marketing strategies for over 1,200 businesses in 14 different industries across North America, Australia and Europe. This includes both online and offline marketing strategies for computer training schools and universities, franchise organizations, software companies (Novell, Surf Control, AVG antivirus and Microsoft), financial services, seminars and events, member organizations and a variety of consumer products and services. This vast experience has given Robin a broad knowledge of hundreds of marketing and sales tactics used by some of the most successful, sales-driven organizations in the world. Robin has more documented client success stories than any other marketing consultant in this industry, period. She has spent over a decade researching, developing, testing and refining marketing campaigns for MSPs and IT services companies. She has over 8,000 clients that span the globe and are made up of brand-new start-ups, multimillion-dollar IT firms and everything in between. She has developed at least a dozen marketing campaigns and systems directly responsible for generating over a MILLION dollars in IT services revenue for her clients.